Thank you for introducing me to another author! Thanks to T. Lynne Tolles for sharing here. 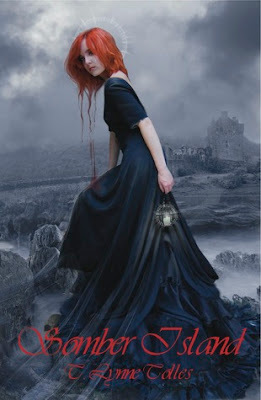 Love the cover & blurb for SOMBER ISLAND. One of my favorite authors. I've read the series, Blood Lust being my favorite. I'll be first in line to order Somber Island. Great interview! Hi!! I absolutely love your casting call! Now we just need to make the movies..... Thanks EJ for another informative and fun author glimpse. All My best wishes for you, T!! O! I forgot to mention I am looking forward to Somber Island too! The artwork is catchy and the blurb is excellent! Thanks Lori, Laurie and RK Charron for stopping by. It's always nice to get feedback. Great interview, E.J.! I will definitely have to check out the Blood Series as they sound really good. Thanks for introducing me to another great author! BTW: The cover for Somber Island is fantastic. Looking forward to reading that too. 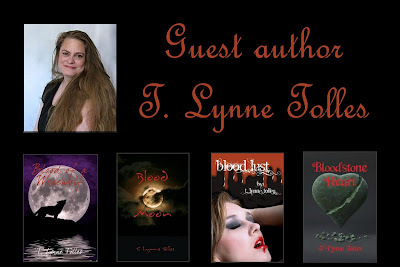 T. Lynne, is Somber Island a temporary break from your previous Blood stories? Or is this a more permanent change from Urban style to someting more like a Period Romance? Great interview and I love the fantasy cast! I'm going to add her books to my TBR list! Thank you for the wonderful interview, E.J. and T. Lynne Tolles! Best with all your books, T., and I agree that Somber Island sounds fascinating and the cover art is gorgeous! Great interview ya'll. I'll just go ahead and say I've read Somber Island and enjoyed it. Are there going to be more like it? Hi Penny! Not sure! I'm taking a little breather after finishing up the last volume of the Blood Series, but I've got some ideas coming together. Thanks for asking! Have a great weekend. I'm so happy to enter a contest/giveaway that includes actual print books that you can hold.